‘Harvest’ is Lasantha Chandana Kumara’s first solo exhibition at the Barefoot Gallery. It is the serenity and beauty of the harvest of the paddy fields and its surroundings, the calm and quiet lifestyle where Lasantha draws his inspiration from. It is fitting therefore that in this era of rapid, modern development, it is the effects of socio economic and political changes on the agricultural community, particularly paddy farming, that Lasantha focuses his work on. Inspired by warm bright colours of the paddy fields and the harvest season, Lasantha juxtaposes images of the traditional signs and symbols known as ‘Kamatha Yanthra’ – which were used to seek the blessing of the Gods during ancient harvest season – with the technological advancements of the modern world on his canvases. By contrasting old and new, traditional and contemporary, Lasantha illustrates the beauty of our bountiful land and the changing times we find ourselves in. ‘Harvest’ will run from 12 June to 1 July at the Barefoot Gallery. Barefoot Gallery is open from 10 a.m. to 7 p.m. Monday to Saturday and 11 a.m. to 6 p.m. on Sunday. 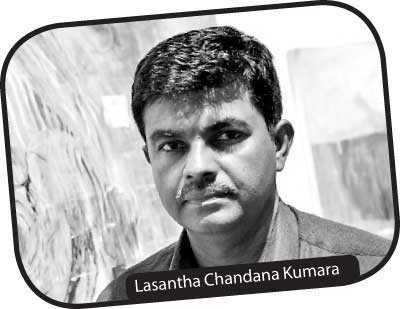 Born in 1971, Lasantha works and lives in Kegalle as an Art teacher for the Ampe Model School. While in school, he studied art for his O/Level and A/Level and was awarded a Presidential Award (Janadhipathi Sammana) for his work in 1990. He went on to complete a Bachelor of Fine Arts (painting and sculpture) at the institute of Aesthetic studies, University of Kelaniya, Sri Lanka. It was here where he worked under the guidance of R.M. Darmasena, Prof. Jagath Weerasinghe and Chandragupta Thenuwara. At university, Lasantha focused some of his research on the experiences of Sri Lankan agriculture community, specifically rural agricultural related to paddy (rice) farming where he learnt the tools, rituals and customs. 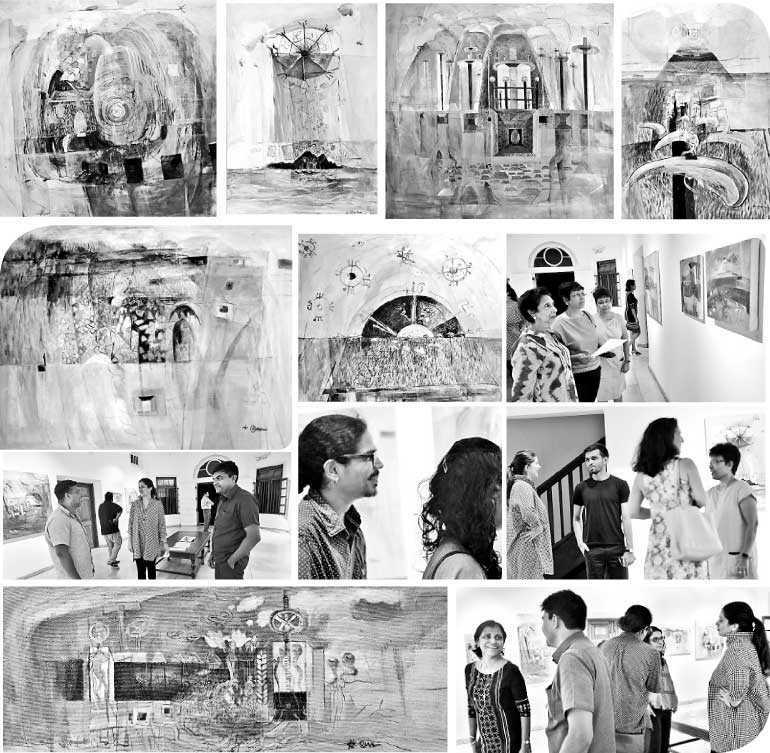 From around 2000 onwards, Lasantha had a series of solo and groups exhibitions in Colombo, Ampara, Kegalle and Kandy including exhibitions at Paradise Road Galleries and Theertha Red Dot Gallery. He has also worked extensively with Art (l.s.a) zonal education office in Dehiattakandiya, Ampara.